POHAKULOA TRAINING AREA, Hawaii – Army officials are opening several training areas for bird hunting, here, Nov. 21-22. 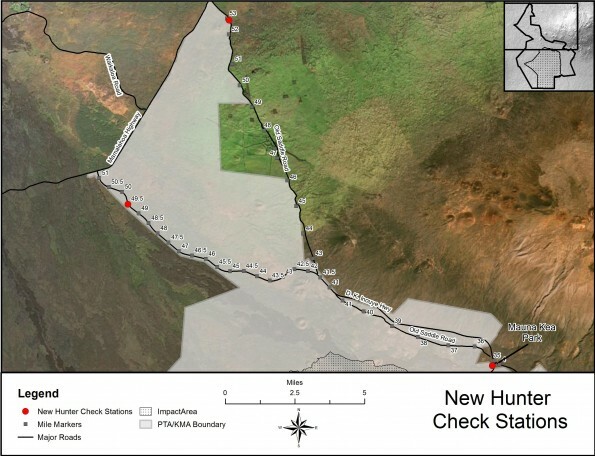 The Humu’ula Unit (training areas 1-4) and the Keamuku Maneuver Area will be open for shotgun hunting of birds only, from 5 a.m. to 7 p.m.
Checkout time is no later than 7 p.m. each day. Hunting passes will be provided at check-in stations beginning Friday after 5 p.m. Use of shotgun slugs is not permitted. Access to training areas is by foot only. Hunters should review the hunting pass for a list of designated parking areas. New PTA hunter check-in stations as of Saturday, November 14, 2015.